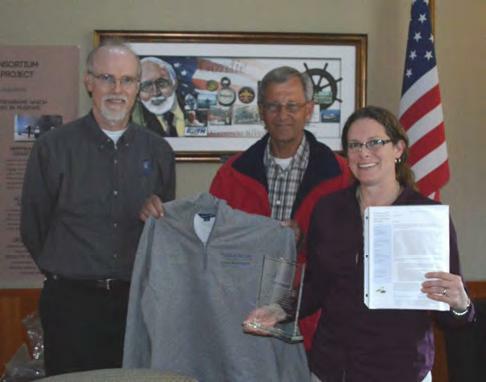 The following letter was presented to La Crosse Fish and Wildlife Conservation Office Biologist Heidi Keuler, in recognition of her fantastic work as Fishers and Farmers Coordinator. The letter was presented by Steve Sodeman and Jack Lauer Co-Chairs of the Partnership. Heidi, we have been pleased and rewarded with your leadership in FFP. You play an invaluable role in keeping us on task and in making the most out of what each of us can contribute to FFP. Thank you for your service as FFP coordinator. We look forward to continuing to work with you to further build upon the successes FFP has achieved with your leadership, service, and professional support. 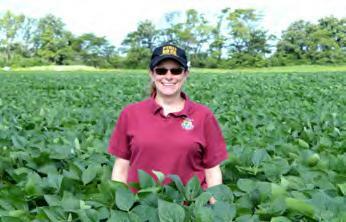 Partnership coordinator and La Crosse FWCO biologist Heidi Keuler is widely recognized as “Outstanding in her Field!